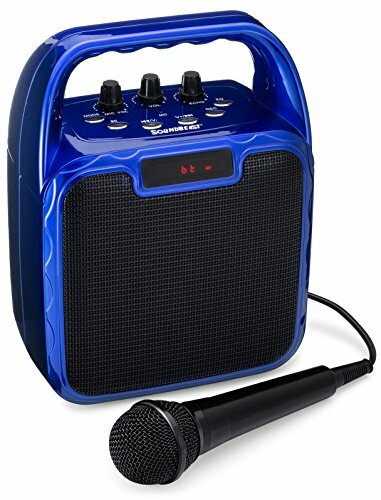 The SoundBeast Pegasus All-In-One Bluetooth Sound System does it all: karaoke machine, portable PA system, music speaker, FM radio, and mini guitar amp. It's lightweight and portable, yet has powerful sound, and is great for both kids and adults. The Pegasus has a built-in rechargeable battery and comes with one wired microphone, as well as a full 1-year warranty from SoundBeast. View More In Electronic Music, DJ & Karaoke.